Department of Child Safety Director Greg McKay will not be implementing most of the recommendations outlined in a new report from the Office of the Auditor General. And the governor, who appointed McKay and who has the power to replace him, has not demanded otherwise. But that is not surprising: it’s par for the course. Director McKay has failed to follow through with reform recommendations in the past and continues to ignore best practices. McKay and the governor, who refuses to hold him accountable, seem to be thumbing their noses at reforms that would likely improve child safety and at the professionals recommending those reforms. 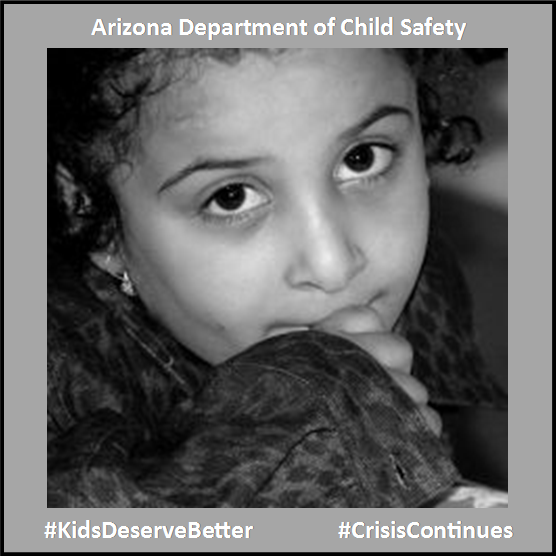 All the while, Arizona children are languishing in a broken system. That sets a dangerous precedent. The Office of the Auditor General is tasked with oversight but if there is no recourse or expectation of action when it finds a problem, how will problems be fixed? One of the recommendations in the report is for the department to provide courts with the information needed to put kids in permanent homes in a timely manner because that isn’t happening now. DCS also recently announced that it will stop issuing a monthly report on agency caseloads, costs of services and financial data that has been provided since the early 2000s. That means less transparency in an agency still working on a backlog of around 5,000 cases and which continues to face alarming staff turnover and whose director the governor refuses to hold accountable. The response from the governor and Director McKay to DCS’s ongoing problems seems to be to provide less information to the public and its oversight committee, to continue practices that have contributed to delays and to hope for the best. That’s not leadership, and Arizona kids deserve better. If you want the governor to know you expect more from him and from Director McKay, click here to find ways to be heard.